Zone Fighter goes all Judge Dredd all of a sudden! Finally, the Garoga grow a brain and unleash an attack on Zone Fighter that could possibly work, drowning him in monster foes. Unfortunately, they don’t go full force with the idea, and Godzilla shows up to beat up some of the spare monsters. The Cheerios Bee was a tougher opponent than these guys! 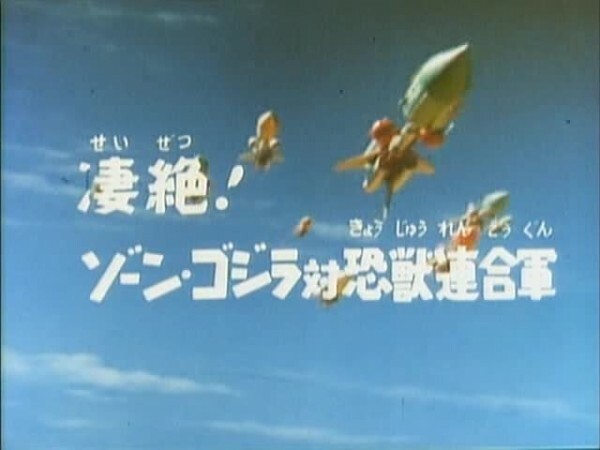 Though five monsters appear – Mogranda, Spideros, Garaborg, Jikiro, and the new monster Kabutogirah – there are dozens of capsules shown that the Garoga have, and they even toss them all around Tokyo in preparation for a massive attack. Instead, the attack is sort of minor, some monsters appearing solo and others attacking just outside of town. The only way the massive monster strategy could be successful is if they throw out dozens of foes, so this holding back is weird. The Garoga launch a whole slew of Terror-Beast missiles featuring some old favorite terror-beasts, and also some awful terror-beasts. No explanation for why they aren’t dead, but whatever! These are all the twin brothers of the dead monsters. Yeah, that’s it! The amount of returning monsters who were destroyed earlier is complicated because I don’t know if to classify them as new versions of the monsters, or as just the monsters themselves reappearing because they “got better”. Even more confusing, Jikiro appears again, but the last time we saw him, he was Super Jikiro. I find it hard to believe the Garoga would go to the trouble of downgrading one of their Terror-Beasts, so the reversion is doubly weird. A mint condition 1973 Super Jikiro! 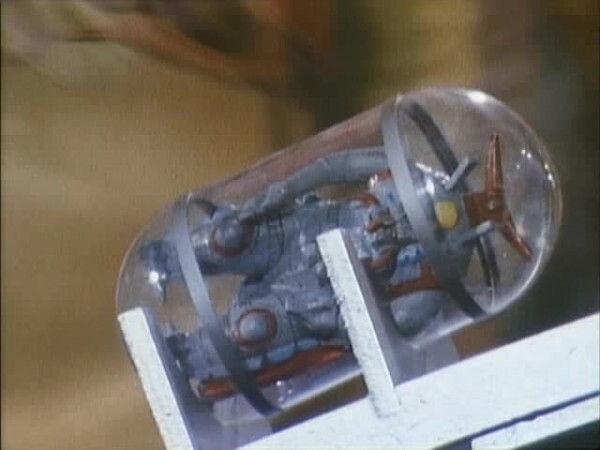 Another explanation is the terror-beasts are recreated after each use, reincarnated like they are Cylons or something. This means that each of Zone Fighter’s murders of them are meaningless as far as killing them to destroy them goes, because they’ll always come back. It also means that the monsters will remember their defeats by Zone Fighter, which should in theory make them better combatants each time Zone and them fight. That doesn’t bear itself out, so maybe this theory is bunk as well. Or maybe the terror-beasts are just that stupid. 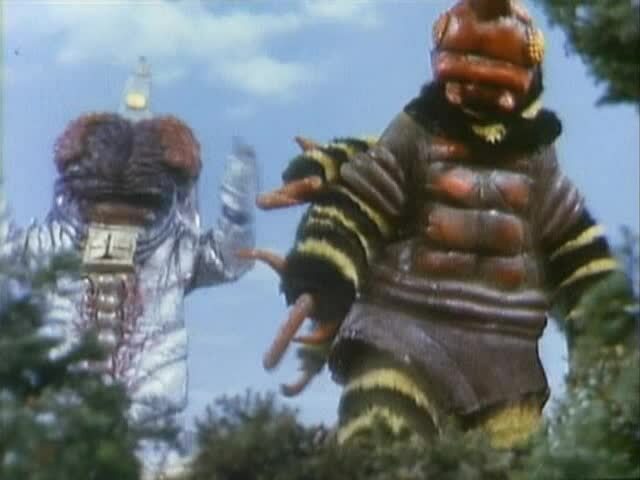 Several of the terror-beasts appear because Garoga combine together to becomes the terror-beast, while others are created from living things, mutated into terror-beasts. Most appear to be of unknown origin, whether they are captive animals mutated into monsters each time they need something to fight Godzilla, or even from breeding stock of creatures about the Garoga Space Station, stored in the terror-beast capsule form, or in pre-mutated animal form. If the reincarnation theory is true, would terror-beasts created from living things (such as Garoga Gorilla and Jellar/Kastom-Jellar) become part of the rotating terror-beast stable, or are they outside the instances of terror-beast reincarnation? This whole concept is more and more deeply troubling the more you think about terror-beasts and their origins. Their possible innocent status makes Zone Fighter look more like an evil bloodthirsty madman than his violent actions do on their own. And that’s pretty violent. Unfortunately, just like all the other mysteries, we’ll never know the definitive answer due to the series being abruptly cancelled with no known followup. This episode is also notable for being the last appearance of Godzilla on the show. 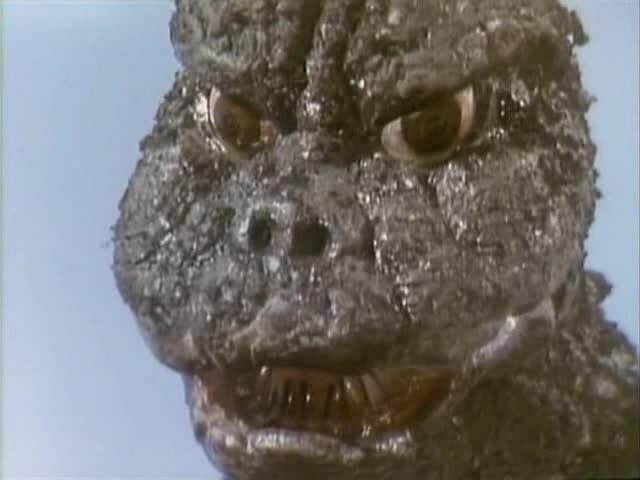 Godzilla just shows up out of the blue to help with the situation, one thinks he’s attracted to the large amount of kaiju bioenergy in the area due to the influx of terror-beasts. Godzilla fares the poorest of all his Zone Fighter adventures, almost losing against two weak opponents until Zone Fighter saves him (to be fair, he saved Zone Fighter first) Godzilla does finish off one of the monsters. The original monster for episode 25 is Kabutogirah, who is a creature with dreadlocks and fashionable sunglasses. He’s in the prologue sequences with the other monsters, and emerges to fight Zone Fighter about halfway through the episode. He does a terrible job and is murdered, not even scoring a spot in the final battle. 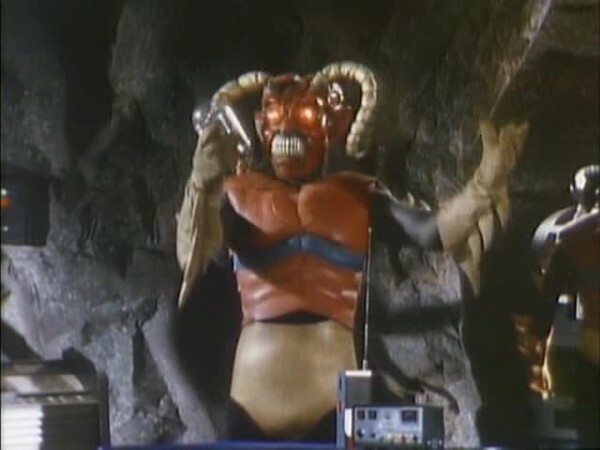 This makes him one of the lamest terror-beasts in show history, even when highly subsidized by other monsters, Kabutogirah isn’t even close to a threat.